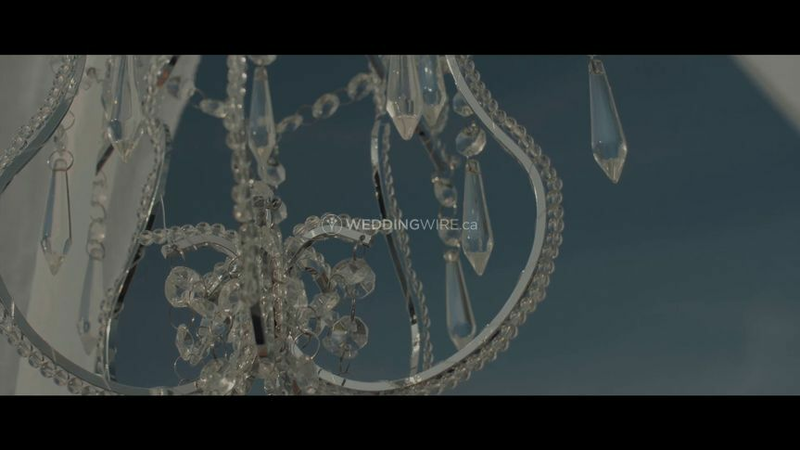 Ella Wedding Cinema ARE YOU A VENDOR? 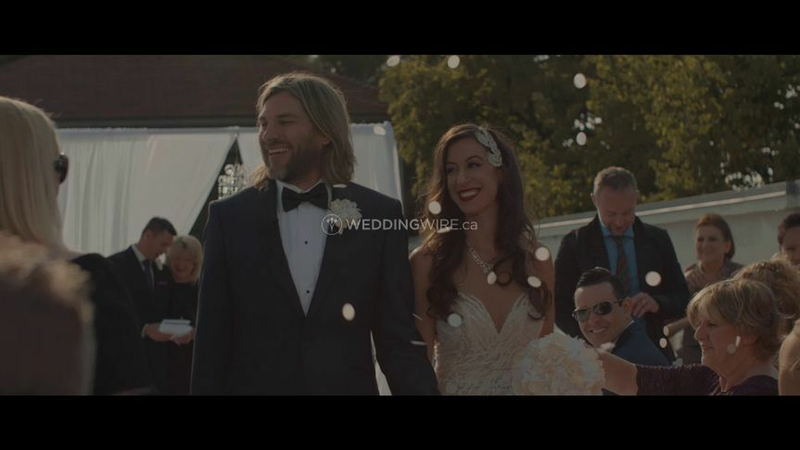 Ella Wedding Cinema is a Toronto, Ontario-based wedding videography company dedicated to capturing your story. As not only videographers but as filmmakers too, they believe that every shot they capture should tell your story and are ready to transform your wedding into a cinematic work of art. Their process is simple, personal, and customized to you so that when the big day arrives you can focus on living in the moment and trusting that your wedding film is in good hands. They offer customized video packages that are designed to fit the schedule of each wedding they film. Coverage ranges from four to sixteen hours and they can provide one or two videographers, depending on your needs. 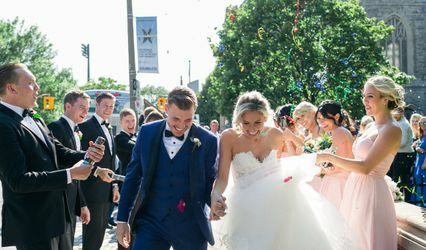 In every package, they offer consulations up to the day before the celebration to go over any specific shots desired and to also allow the soon-to-be married couple to meet the videographers before the event. They want the preparation for your wedding to be as hassle and stress-free as possible. Their simple process and use of digital contracts are designed to let you relax as your special day approaches. On your wedding day, you can count on them to be professional and diligent. They capture everything true to your vision, allowing you to enjoy the once in a lifetime day without any worries. Once the filming is complete, they show you the first cut and wait for your feedback. Their package price includes up to two revisions to your highlight video and can provide you with your films directly over the cloud, on Blu-Ray, or USB. Jonah and Matt absolutely knocked it out of the park for our wedding highlight reel and video! Not only did they capture our day authentically, but they did so in a way that really captured us as a couple. AND as added bonus, Jonah has a really down to earth easygoingness that was so de-stressing on the day of! Can't recommend enough! Can't stop watching our amazing video! My now husband and I were hesitant about booking videography services for our wedding in October 2017. But we are so happy we did! Jonah was absolutely wonderful to work with from the get go. He is incredibly professional, responsive and just a delight to work with. Our highlight video was so well done that I must've watched it about 20 consecutive times after receiving it. It captures all of the key moments, was time perfectly to music and told such a wonderful story. If you're considering booking Ella, do not hesitate - just like us, you'll be so happy that you did. Working with Jonah was a breeze! Himself and his second shooter made our day as relaxing and fun as one could hope for. The highlight film was produced quickly and was timed perfectly to the music! We could not have asked for a better experience. We highly recommend adding the drone footage to your package if you decide to book with Ella! 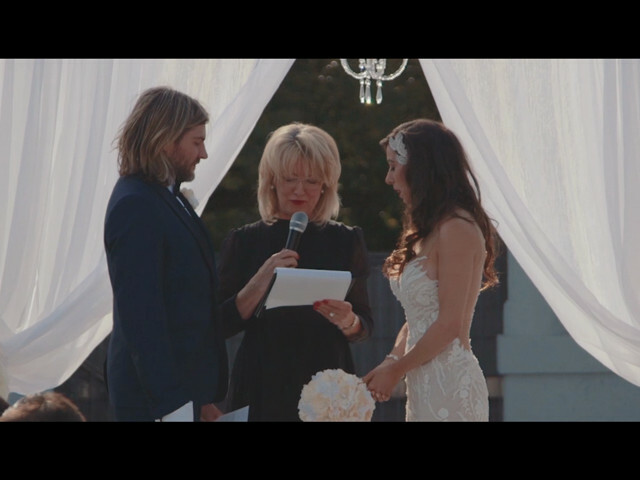 We loved working with Jonah Haber from Ella Wedding Cinema! We were hesitant about booking videography for our wedding, but we are SO glad we did! From our first meeting, we knew that it would be easy and fun to work with Jonah. He was very organized and professional. He provided affordable rates and was also easy to communicate with via email, answering our questions quickly. Jonah was great on the wedding day, and made us feel very comfortable in front of the camera. Jonah is very talented and he delivered an amazing highlight video, our full ceremony and reception was captured beautifully, and he also recorded our ceremony in virtual reality!! This was such a cool feature and now we are able to look back and see our wedding from all different angles, and to see all our guests! Jonah was awesome and we would highly highly recommend him!! Jonah Haber is an extremely talented film artist. My husband and I are extremely thrilled to have had him as the videographer for our vow affirmation as his talent shines through his work. He is very professional and easy to work with and his creativity is by far his best asset. We would recommend Jonah to anyone looking to capture one of their most memorable days. The memories he captured and highlighted were outstanding and we cannot thank him enough!